Small Box Energy uses wireless programmable thermostats with standard indoor and outdoor air sensors to control and monitor the HVAC system. 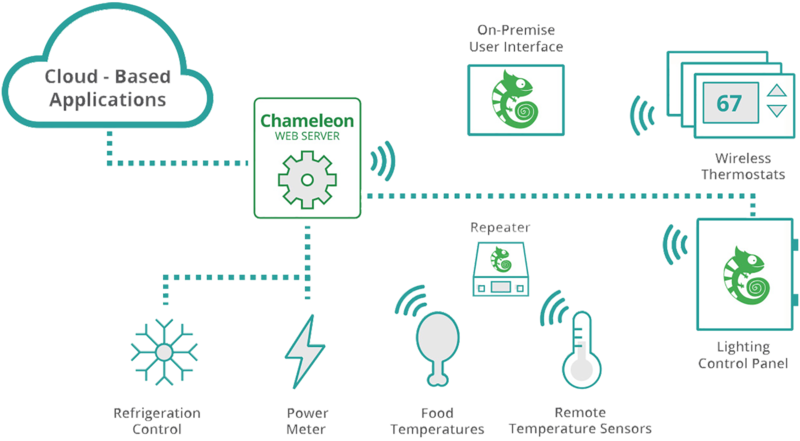 Using chameleon-cloud.com, users are able to define room temperatures through a scheduling module and compare target temperatures with compressor run-times while viewing fan, compressor and stage run-times. Users are now able to balance comfort with energy savings. Small Box Energy installs a separate lighting control panel used to control and monitor up to 12 zones and 96 circuits of standard lighting. The indoor lighting schedule is configured based on operating hours and employee work schedules. Occupancy sensors and optional override capabilities allow the schedules to be manually overridden. Exterior lighting uses an astronomical clock following a dusk/dawn schedule. Receive notifications via text, email or on your smart phone or tablet when an alarm or alert is populated. All alarms will be shown when you login to either the app or chameleon-cloud.com. Urgent alarms are sent for refrigeration equipment which is above the defined temperature for 60 minutes, minimizing food loss and warning of a potential equipment failure. Warning alarms are displayed for HVAC or refrigeration equipment not functioning properly, which is an early indication of maintenance needs. Small Box Energy provides an adaptable refrigeration controller for walk-ins and freezers and wireless sensors for reach-in units which enable us to provide a complete temperature monitoring and alarming solution for all your refrigeration equipment. Alarms are sent when the coolers maintain a temperature above the defined target for more than 60 minutes. Additionally, warning signals are shown on the dashboard when defrost cycles are not normal. Together, these products reduce icing and energy consumption while maintaining a steady temperature to ensure food quality. Small Box Energy enables remote visibility and historical data for HVAC and refrigeration equipment. 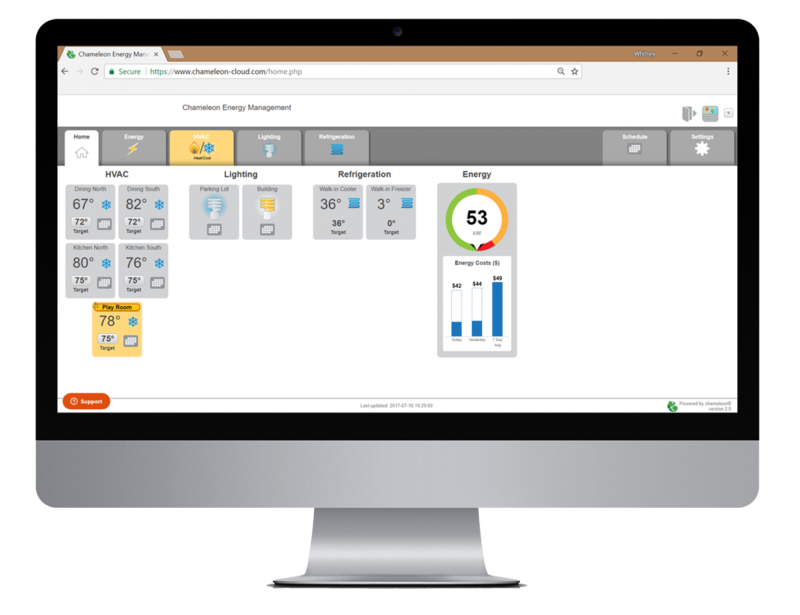 This allows users to see and compare data across their portfolio for run-times, energy consumption and temperature variation which provides the necessary diagnostics for preventative maintenance. Users are able to make better strategic decisions for logistics, repairs and replacement using this data. Complete access to your entire portfolio is at your fingertips. Monitor, control and change schedules using the mobile app or by logging into the dashboard using a standard internet browser. Instantly view equipment data when you receive an alarm without needing to physically see the unit. You will experience true visibility, and control, of your entire portfolio without ever leaving your desk. © 2019 Small Box Energy.